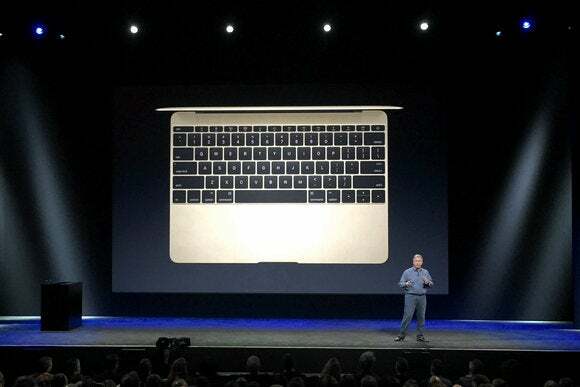 “The only intelligent vision for the future of the notebook is one without wires, where you don’t have to plug up cables to connect to things,” Apple marketing chief Phil Schiller said as he introduced the MacBook on Monday. But while he crowed about the IEEE 802.11ac Wi-Fi and Bluetooth 4.0 built into the laptop, Schiller never mentioned that Apple passed on emerging technologies to make a USB connection over the air or wirelessly link peripherals at 7Gbps (bits per second). 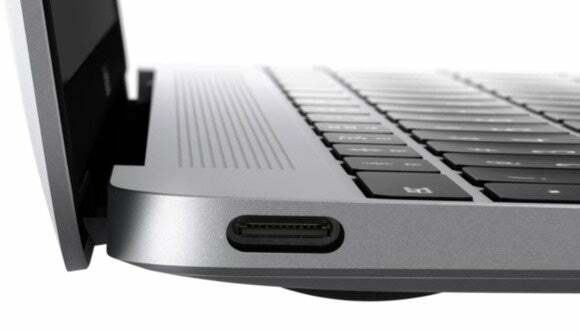 The new MacBook has one USB-C port, relying on adapters and existing wireless technology like 802.11ac, Bluetooth 4.0, AirPlay, and AirDrop. Instead, he praised the single, solitary USB-C port on the MacBook, which can serve as a power, a video and a data transfer interface—and will have to, for the many peripherals that can’t use Apple’s AirPlay and AirDrop. This includes most desktop monitors and external storage devices. This could lead to a number of inconvenient scenarios. If you want to, say, plug in your MacBook, charge your iPhone, access an external hard drive and use a big screen without an Apple TV all at the same time, you’ll probably need an adapter or two. Meanwhile, the tools to do all this without wires are starting to become real. A pre-certified version of the WiGig high-frequency wireless protocol is already available in some wireless docks, and a completed specification called MA (Media Agnostic) USB brings that popular interface to WiGig, Wi-Fi, and other kinds of networks. Intel has announced a full-court press toward wire-free PCs on several fronts, including wireless charging, which was also left out of the new MacBook. Why wouldn’t Apple jump on those technologies to avoid an awkward tangle of cables and adapters sullying its elegant new computer? Probably because they’re too new. To ensure MacBook owners can find stuff that does the promised wireless magic, a lot of vendors would have to be ready to ship products. Sometimes even Apple can’t generate that kind of whirlwind in the market. “It’s one of those things that Apple probably is interested in, but the time frame is not quite right,” Gartner wireless analyst Mark Hung said. For one thing, “If you put a WiGig radio in there, it probably wouldn’t get all-day battery life,” he said. WiGig and MA USB are gaining momentum. WiGig uses the ultra-high 60GHz band, which lets it carry data at 7Gbps with low latency, but only over short distances. Qualcomm and Intel already sell WiGig chips, and WiGig will be included in Intel’s Skylake platform that’s coming in the second half of this year. Dell has been making a WiGig wireless dock for a couple of years—WiGig PCs link to it over the air, while monitors and peripherals use wired ports in the back—and Qualcomm expects tablets, phones and storage devices with WiGig by the end of the year. Dell's D5000 wireless dock has WiGig to make connecting peripherals to your laptop a lot easier. Another plus for WiGig is that it’s getting integrated with regular Wi-Fi. New wireless docks will be able to use both technologies and act as access points, said Mark Grodzinsky, a Qualcomm director of product marketing. But the Wi-Fi Alliance won’t start certifying WiGig products until next year. As with any technology, it will take more products to make WiGig cheap enough that manufacturers start putting it in displays and other peripherals, eventually making a dock unnecessary. That probably won’t happen until 2018 at the earliest, Grodzinsky said, though things might speed up a lot if WiGig got into a high-profile product—like a MacBook. “That is the kind of key win I’m talking about,” Grodzinsky said. Qualcomm’s WiGig chips are already technically ready for a system like the MacBook, he said. As for MA-USB, its big moment may be a little farther out. The idea behind a wireless USB standard is that it’s compatible with the drivers that devices already use, which can save testing and development time. But the idea of running actual USB over a wireless link has a tortured history. About 10 years ago, the USB Implementers Forum approved a standard for putting the popular transport protocol over UWB (ultrawideband), a technology that ran into obstacles to wide adoption, including different spectrum rules around the world. Then the group created MA-USB, which was designed with WiGig in mind but can run over multiple protocols, including Wi-Fi. The MA-USB specification was finished about a year ago. Qualcomm says MA-USB can be supported in its WiGig chips and will be included in Snapdragon processors. Intel also plans to support MA-USB. But there’s not much evidence that it’s caught on yet. Wireless docking may have missed the boat on this MacBook, but Hung is more optimistic about it than he was a year ago. “I do think there’s a path to getting there,” he said.